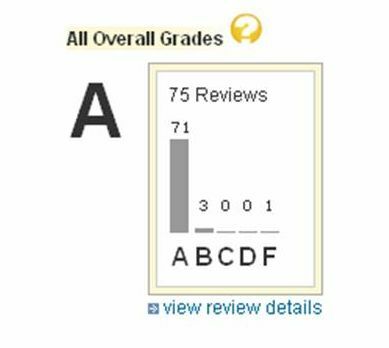 We are the #1 Home Inspection Company on Angie's List in the Lehigh Valley and Poconos. View some of our most recent, and interesting inspection findings! 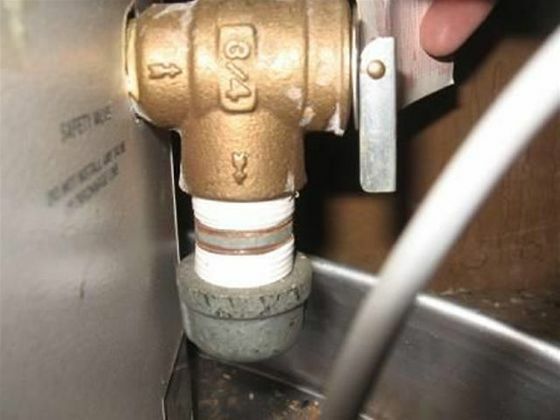 See why home inspections are important even in new homes! Many local home inspectors take a simple online test and go into business inspecting homes. 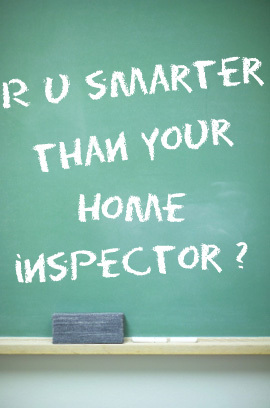 Go ahead and Take the quiz…… you just might be smarter than many area home inspectors. We were given a few companies by our Realtor to use for our inspection, but by the confidence and professional abilities we did select Integrity. During the process they were most helpful with many of the concerns we experienced and explained many of the deciding factors in the home we were looking to purchase. Thanks for everything! We had a fantastic experience with Integrity Inspection. We learned a lot about our house just from The inspectors expertise. He made suggestions for future repairs, and had a general interest in the well being of our new house. We are extremely grateful for his experience and knowledge. My wife and I are set to purchase a new home and the inspector came to do a home inspection for us on Saturday. He was very thorough and detailed about things that could be a problem and should require our attention. It is making our decision to purchase this home that much easier. Thanks for your help! We thought home inspections were waste of money. Not anymore!!! We had a home inspection done earlier this year by someone else. The person just walked around and pointed out very obvious things that we could have found out for ourselves. The inspector from Integrity Inspection Service was very professional and detailed. He found issues that other inspectors would have missed saving us $1000s. The price was quoted upfront with no surprises later. We highly recommend the company. Extremely knowledgeable in all areas of the inspection. Took personal time to explain and answer any questions we had. We were rushed to get the inspection finished due to counter offer dates, so we called them and they delivered in remarkable time. They gave us a very clean and organized report that detailed everything. I would recommend them to everyone. Quote of the Day II with Tottenham this year, I think they ought to pay Harry Kane and I think they're going to surpass Chelsea in the Premier League." Vikings general manager Rick Spielman in answer to a question that was actually about his team in 2017. I guess he just wanted to talk Premier League. "No matter what you do in life, one of the most important things is to be true to who you are," Sowers, a lesbian, told Outsports. "There are so many people who identify as LGBT in the NFL, as in any business, that do not feel comfortable being public about their sexual cheap nhl jerseys orientation. Meanwhile, White cheap nfl jerseys was still so green she had no notion of what to charge her clients: "I was billing these millionaires by the pandora charms hour, not cheap china jerseys the month, and barely making the rent on my one bedroom." Hilariously, some of those millionaires bitched and moaned when she hiked them to $1,000 a month. Her monthly fee is now a multiple of that, plus a percentage of the promo deals she strikes. (If that doesn sound like a lot, know that she gets the DeSean Jacksons hundreds of thousands, cash, just to tweet.) But as her cheap oakleys clientele grew and she began adding staff, she found herself representing name brand players who come through serial crises as kids and were still steeped in chaos as pros. "Guys whose dads had been incarcerated forever and they never even seen outside of prison," or clients saddled with blood sucking crews or crooked agents and accountants. "By the time I got Vince Young, he been ripped off for millions," she says. "Everyone had their hooks in him, including his uncle." Young, now out of football, sued his agent and his financial planner, alleging they stole $7 million from him. (The case was settled.) It is very important to note that not all the competitors in an event may be listed, so another betting option is on the "field" which includes all other competitors not listed. The odds on a "field" bet are typically comparable to a bet on the favorite in order to protect sportsbooks from taking a big hit if a major upset occurs. In exchange for a lesser payout, field bettors gain the advantages of having more than one entrant that can win for them. I mean, you're not really focused on this [as a young player]. It takes a couple of years for a light to go off. "Rick Mirer says the reason his Mirror Wine Co. is doing $400,000 in business annually is because he has tried to be a cautious investor and learn from his mistakes. Usually I use the same material for the top and bottom of my chest; however for this specific chest I ended up using hardboard for the bottom which doesn't make any difference.Once we have all the material in our possession we are ready to move onto the next step in the process of creating this laser engraved chest.Step 2: Designing EngravingWhen it comes to making these types of chests its really all about the design. The personal conduct policy covers activities that might be criminal domestic or workplace violence, illegal gun possession, cruelty to animals regardless of whether they result in a conviction or even criminal charges. (It also says players do not have protection against self incrimination when they are investigated by the league, so there goes the Fifth Amendment, as well.) Mariota looks to be fully recovered from the broken leg he suffered during Week 16 of the 2016 season. He and the Titans, who posted a 9 7 cheap mlb jerseys record in 2016, enter the 2017 with high expectations, with some observers picking the Titans to win the AFC South. If Mariota can remain healthy, he has plenty of weapons on offense and the cheap jerseys china Titans added talent on defense. These panels and this installation, there no risk of anything remotely close to the Grenfell tragedy, Vanover said. requires more stringent fire testing of cheap jerseys materials used on the sides of buildings taller than 40 feet. However, states and cities can set their own rules, said Keith Nelson, senior project architect with Intertek, a worldwide fire testing organization.